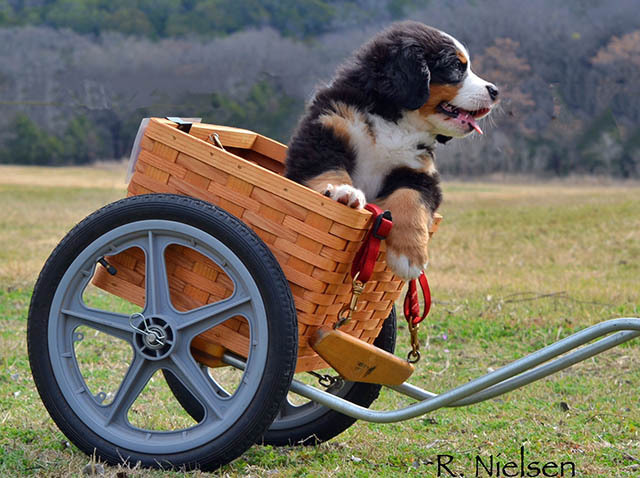 The Berner-Garde Foundation was established to assist in efforts to improve the health of Bernese Mountain Dogs. The BGF is comprised of a voluntary Board of Directors and other workers. Our efforts are designed to support scientific research into the causes and cures for genetic diseases and general health of our beloved Berners. The Berner-Garde Foundation depends on donations to fund its operations and continue its work. If you find our database useful and support our research assistance programs, please consider donating to the foundation. IF YOUR DOG IS DIAGNOSED WITH CANCER, JUST FREEZE IT. This is truly all that you and your vet need to know if your dog is diagnosed with cancer and you want to submit a tumor tissue sample to the Repository. Collect a sample and JUST FREEZE IT. It can remain frozen until you and your vet have gathered all the information necessary to ship it to the Repository safely and when you are emotionally ready to do so. Click this box for more info. In the 1980's, Barbara and Martin Packard initially created the database that has evolved into todays's Berner-Garde Database. They deeply cared about improving the health of our dogs and were pioneers in many ways. Barbara Packard passed away in 2012 and Berner-Garde Trustee, Brycie Marine, created a video tribute to Barbara. The Berner-Garde Information brochure is available for viewing or download. This 4-fold pamphlet is a large file (over 800kb) and requires a current version of Adobe Acrobat Reader to view. Click here to view the pamphlet or right click to download. COPYRIGHT (c) 2004-2017 THE BERNER-GARDE FOUNDATION, INC. ALL RIGHTS RESERVED.